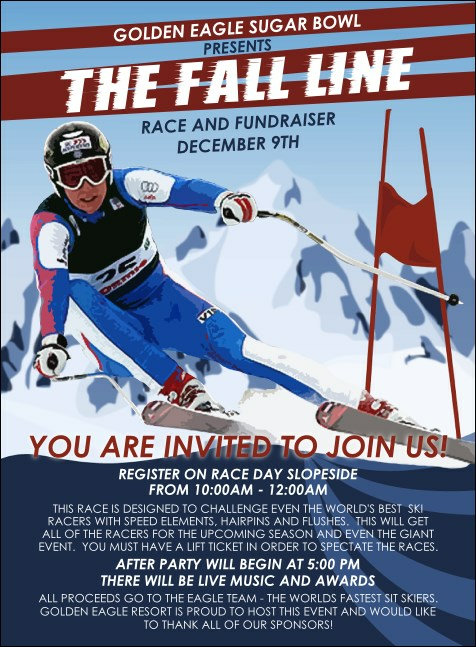 Whether your guest list is cruising the tram or just starting out on the bunny hill, invite them to join your winter event when you send out individual Ski Race Invitations. With a photorealistic picture of a skier flying around a flag in mid-air, and a snowy alpine back drop, these Invitations will have your guests lining up for lift tickets. Stay in-bounds with the best pre-event promotions at TicketPrinting.com.